The first-ever W3C Publishing Summit took place in San Francisco, November 9 to 10, to discuss how web technologies are shaping publishing today, tomorrow, and beyond. Publishing and the web interact in innumerable ways. The Open Web Platform and its technologies have become essential to how content is created, developed, enhanced, discovered, disseminated, and consumed online and offline. During February 2017, the IDPF (International Digital Publishing Forum) merged into the W3C. IDPF members are now joining W3C with new committees formed, including the W3C Publishing Working Group, EPUB Community Group, and others. The internet is wide open to all world communications. “Content publication” has expanded to a very broad level via the Internet. Businesses are trying to reach out in personalized fashion. Artificial Intelligence (AI) and Machine Learning (ML) are important for content location & delivery and personalization. 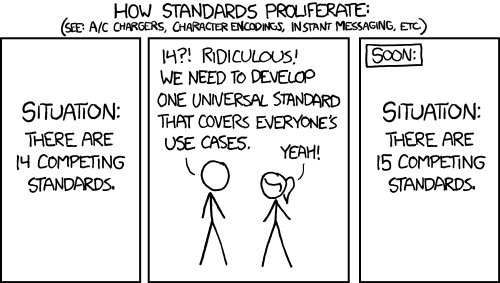 W3C does important standards development, but as technology is moving fast how should we coordinate successfully? A major goal of the W3C is to define a new Portal Web Publication (PWP) content format that will merge HTML and EPUB and replace PDF. EPUB 4.0 is likely to become a subset of that new PWP standard. Following are some of my observations from the various presentations and discussions from the conference. Feel free to add your thoughts and takeaways in the comments section! Test content in several epub reader devices, etc. Cenveo Publisher Services is a proud member of the W3C Publishing Working Group. The issues discussed at the W3C Publishing Summit are ones we address everyday with academic, scholarly, and education publishers. We look forward to working with you in 2018 on innovative publishing solutions that improve editorial quality and streamline production while continuously addressing costs. Let us know how we can help. Today the W3C announced that HTML 5.2 is a W3C Candidate Recommendation. Over the next 4 weeks, the Advisory Committee will review the spec and determine whether they will endorse as a W3C Recommendation. This specification defines the 5th major version, second minor revision of the core language of the World Wide Web: the Hypertext Markup Language (HTML). In this version, new features continue to be introduced to help Web application authors, new elements continue to be introduced based on research into prevailing authoring practices, and special attention continues to be given to defining clear conformance criteria for user agents in an effort to improve interoperability. What the W3C website looked like on January 14, 1998 via the Wayback Machine. Originally, HTML was primarily designed as a language for semantically describing scientific documents. For its first 5 years (1990-1995), HTML went through a number of revisions and experienced a number of extensions, primarily hosted first at CERN, and then at the IETF. In 1998 the W3C membership decided to stop evolving HTML and instead begin work on an XML-based equivalent, called XHTML. The idea that HTML’s evolution should be reopened was tested at a W3C workshop in 2004. In 2006, the W3C indicated an interest to participate in the development of HTML 5.0. It's a fascinating story and, like all history, important to revisit and understand. In June, the W3C launched the new Publishing Working Group. The first ever W3C Publishing Summit will be held 9-10 November 2017 in San Francisco, California. Evan Owens, VP of Publishing Technologies at Cenveo Publisher Services will be there. If you'd like to meet with Evan at the W3C Publishing Summit, you can make an appointment by clicking the button below. Thank you! We will be in touch to schedule your meeting.